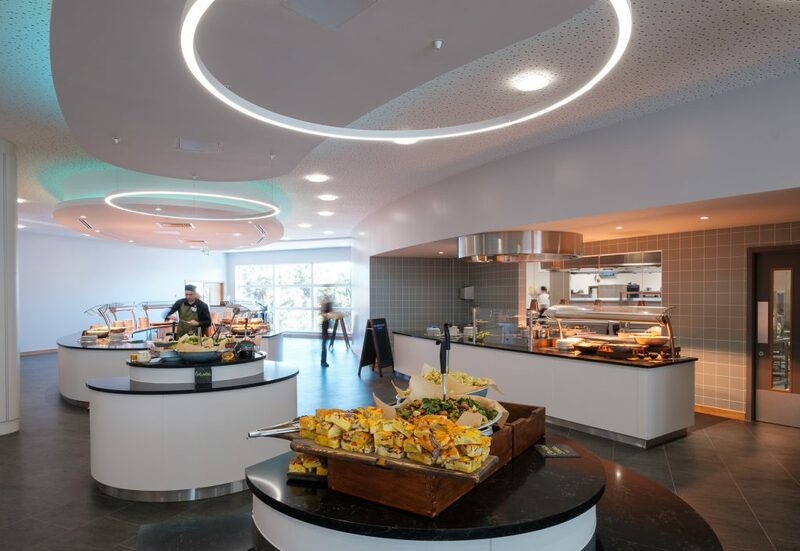 Eastbourne College approached us for a competitive tender for the installation of a new second-floor kitchen and servery. 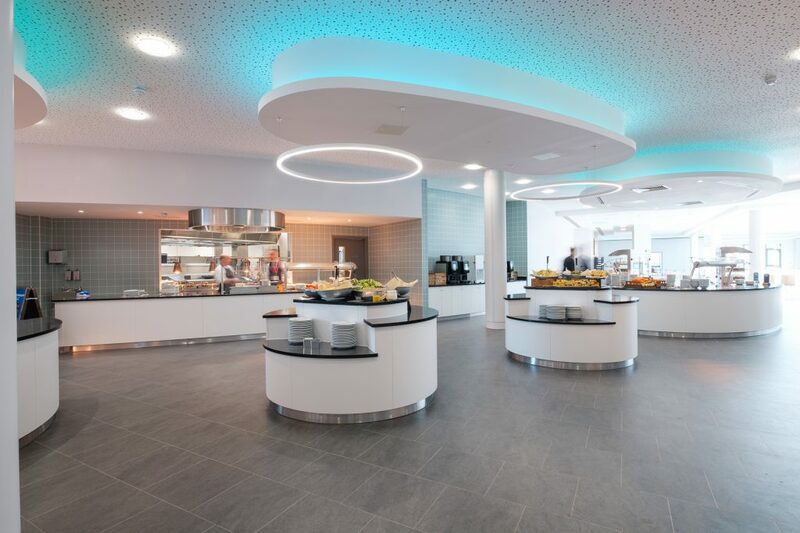 The design was to build a new state of the art sports facility, with classrooms and a dining room to feed both students and staff at the college. 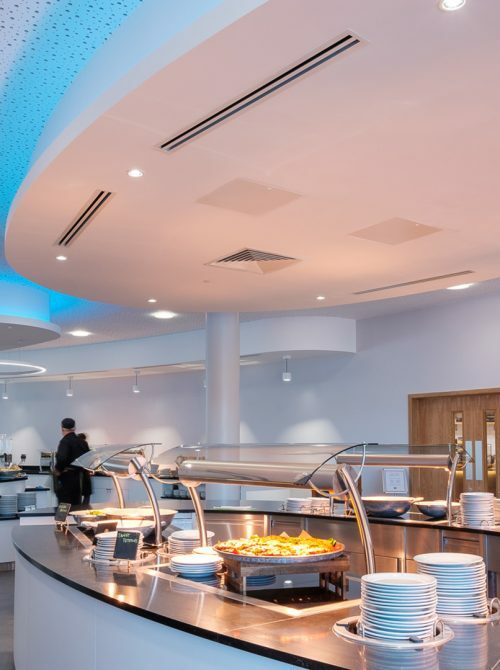 Ceba Solutions Ltd were recommended to Eastbourne college via their contract caterers Holroyd Howe. 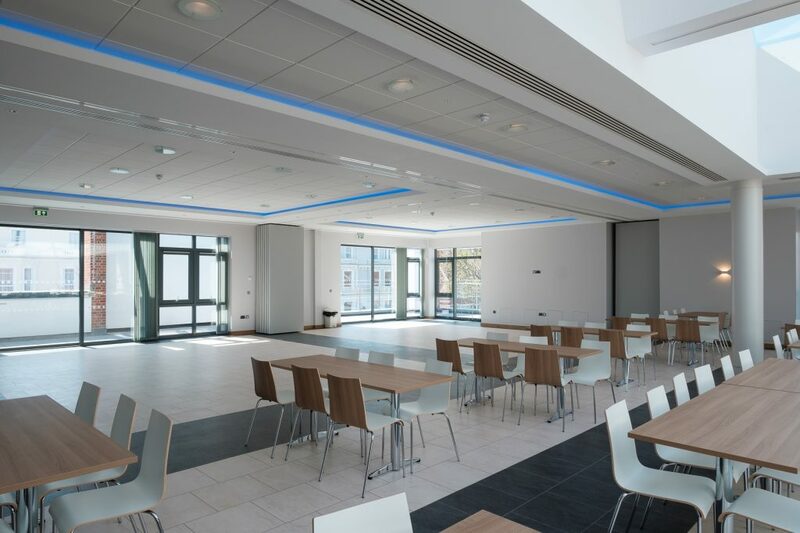 After successfully winning the tender process Ceba were instructed to also design and supply a 6th form cafe, school reception desk and supply all furniture for the dining room and cafe. One of our main challenges with this project was the location of the new kitchen on the second floor. There was a small goods lift on site, but this was of no use when it came to moving large equipment into the kitchen. During this project, we also experienced some major programme delays from the onsite contractor, which caused delayed deliveries and aborted installations. The main solution to the challenge of delivering large equipment to the kitchen located on the second floor was for Ceba to employ the help of Keith Elkington transport. 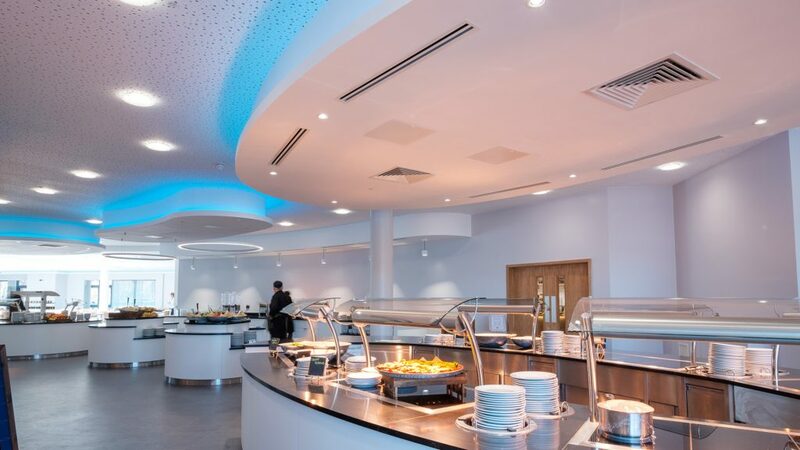 The company were able to receive, damage check, consolidate and deliver all catering equipment. This removed any risk of the equipment arriving late and/or damaged.